Microsoft's mobile operating system has been getting a lot of buzz among the media and consumers ahead of the Consumer Electronics Show in Las Vegas -- some good, some not so good. Here's a rundown of recent Windows Phone chatter in case you missed it. PCWorld reported Friday that Microsoft is scrapping its "Where’s My Phone Update" site. The news wasn't received well by Windows Phone users who felt betrayed and abandoned by Microsoft -- especially after Microsoft has touted the fact that Windows Phone had a better updating model than Android. In response, Greg Sullivan, senior product manager on Windows Phone, told ZDNet, "Nothing has changed in regard to how we work with carriers to deliver Windows Phone updates to our customers." He also indicated there's been no carrier push-back leading to the decision. Apparently, if Microsoft were to continue adding each and every new phone model and new carrier relationship, the Windows Phone Update table would have become unwieldy. Microsoft has been granted a patent to make its maps more pedestrian-friendly. Not so affectionately, though, the patent is being dubbed by some observers as the "avoid ghetto" feature. According to CNET, in order to create suggested routes, Microsoft's GPS -- which will reportedly be inserted into Windows Phones in the future -- will use input from more varied and up-to-date sources, including crime statistics. This idea is leading some people to think it will be an insult to poor neighborhoods. The patent covers other things as well, such as helping pedestrians avoid "harsh temperatures." Nokia's flagship Windows Phone smartphone for the U.S. will debut this week. According to The New York Times, the long-awaited Lumia 900, which it calls "sleek" and "metallic," will be unveiled at CES and will be carried by AT&T. Be sure to visit our CES hub page for our comprehensive coverage from the show floor. And to track phone news from CES specifically, follow Ginny Mies (@TheLastGinny) and Armando Rodriguez (@megapenguinx). PCWorld includes Windows Phone on its list of 10 Biggest Tech Letdowns of 2011, not because the OS doesn't have cool features but because consumers so far have given it the cold shoulder. That might change, according to one report that indicates mobile operators want Windows Phone to become a third ecosystem in a market that is increasingly dominated by Apple and Google. "We found that 85 percent of carrier respondents believe that there is a need for a third ecosystem, with 77 percent noting that it will be Windows Phone/Nokia," writes Credit Suisse wireless analyst Kulbinder Garcha. "Our survey also showed that both subsidy and volume share is expected to be markedly higher for Windows Phone over the next 12 months." 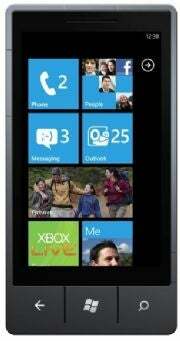 A Microsoft executive has admitted Windows Phone was a response to the iPhone. Apple Insider is calling out quotes from the same New York Times article promising the debut of the Lumia 900 this week at CES. The story quotes a Microsoft executive as saying that Apple created a sea change in the industry and once the iPhone exploded into the marketplace, Microsoft executives knew that their aging Windows Mobile software couldn’t compete so they decided to scrap it and start again from scratch. What's your take? 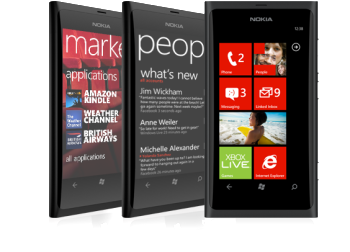 Will Windows Phone become a third ecosystem on par with iOS and Android? Would you appreciate a feature on your phone that could help you avoid unsafe areas?